By Angel Pacheco for Peoples’ Self-Help Housing | Published on 03.25.2015 3:55 p.m.
Peoples’ Self-Help Housing will be holding a lottery drawing April 16 for applicants wishing to live in the all-new Casas de las Flores affordable housing complex, which is scheduled to open in September in Carpinteria with 43 townhouse-style apartments. 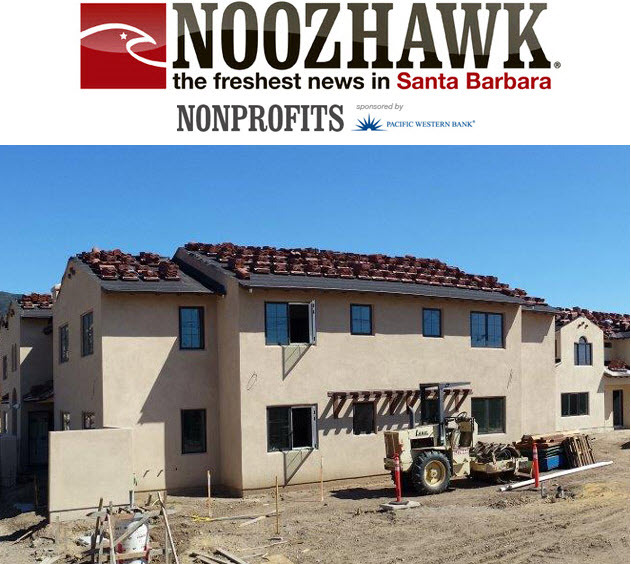 Applicant lottery numbers will be pulled individually from a tumbler during the April 16 drawing to be held live at Peoples’ Dahlia Court II affordable housing complex, 1305 Dahlia Court in Carpinteria. The lottery begins at 10 a.m., and applicants, the media and general public are welcome to attend. As of Wednesday, there were more than 200 households on an interest list for the new apartments. A brief pre-application must be submitted before next Tuesday, March 31, to be lottery eligible. The pre-application and qualification details are available by clicking here. Qualified households’ rent-to-income ratio shouldn’t exceed 40 percent.